At Make It Cheaper, we are proud to be partnered with over 50 Associations and Commercial Organisations across the country with the mission to help save Australians time and money by securing competitive offers on their energy bills. If you share our passion and think that your members, clients or customers would benefit from using our energy switching service, then you sound like our ideal partner. Find below a list of our current partners. If you are a member of any of these associations, be sure to get in touch with them to see how switching your energy provider with Make It Cheaper can help you save big on your business or home utility bills. Australasian Furnishing Association (AFA) is the peak industry organisation representing Australian and International Members spanning national and global markets. AFA Membership includes manufacturers, importers and exporters of residential and commercial furniture, suppliers to the industry, retailers, allied associations, key stakeholders (such as testing and training organisations), designers and individuals. Australian Car Wash Association (ACWA) provides management, operational and marketing information to help current and potential car wash owners and operators make a success of their business. ACWA is a forum for suppliers and operators to meet with each other and for suppliers to promote their products and services to the owners and operators, both large and small. It exists to encourage the success of its members by providing a forum for the exchange of knowledge and ideas. Australian Council for Private Education and Training (ACPET) is the peak body representing the private education and training sector in Australia. Membership is open to organisations delivering private post-secondary education and training: providers of higher education, vocational and technical education, English language training, schools, foundation studies and pathway programs. The Australian Hairdressing Council (AHC) is the national voice that connects hairdressing professionals, educators and suppliers. They represent the industry’s presence to the government and together elevate industry standards, reputation and image to create a better future- salons, suppliers, educators and creatives all work together under the AHC banner to ensure that the Australian Hairdressing Industry remains a worldwide leader in their craft. 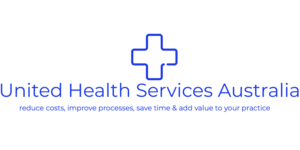 The Australian Healthcare and Hospitals Association (AHHA) is Australia’s national peak body for public and not-for-profit hospitals and healthcare providers. Their vision is for a healthy Australia supported by the best possible healthcare system. They are uniquely placed to be an independent, national voice for universal high-quality healthcare to benefit the whole community. The Australian Hotels Association SA represents and protects the commercial interests of hoteliers throughout South Australia. The Association consists of a qualified team of experts who are able to provide advice on a range of topics, including legislative changes, licensing, gaming, industrial relations, insurance, responsible gambling and community liaison. The Association’s mission is to encourage, foster and promote the pursuit of excellence in service, facilities and management practices among members for the benefit of the industry and the community of SA. 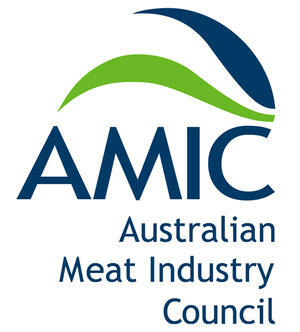 The Australian Meat Industry Council is the only industry association representing the post-farmgate Australian meat industry. They work with members, governments and industry groups to influence policy and provide technical and other services to the industry. They have an overriding goal of helping their members achieve and maintain profitability, they work hard to solve the industry’s key challenges and provide a range of services that make it easier for their members to run their businesses. Australian Medical Association Queensland (AMA Queensland) is a member-driven organisation representing more than 6,000 registered doctors and 900 student members throughout Queensland. Their reach extends beyond their membership and into the community to influence non-member doctors, allied health professionals and administrative health staff, union members, specialist colleges, medical universities and employees involved in the health industry. AMA Queensland provides dedicated and ongoing professional representation through support, leadership, promotion and advocacy for the advancement of the medical profession at all stages of a members' career. The Australian Medical Association NSW Limited (AMA (NSW)) is an independent association representing the state’s medical profession. As the state’s peak medico-political lobbying body, AMA (NSW) is dedicated to providing its 9000 members with representation on a variety of medical issues, professional services and commercial benefits. By playing a pivotal role in the formation of public health and hospital policy, AMA (NSW) is in a strong position to represent the individual needs of members and their patients. 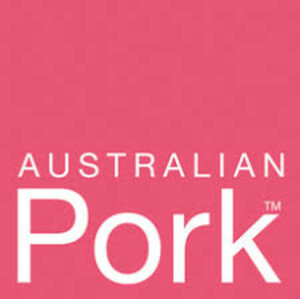 Australian Pork Limited is a unique rural industry service body for the Australian pork industry. It is a producer-owned company delivering integrated services that enhance the viability of Australia’s pig producers. The organisation aims to enhance opportunities for the sustainable growth of the Australian pork industry by delivering integrated marketing, innovation and policy services along the pork industry supply chain. The Australian Society of Anaesthetists is a not-for-profit member funded organisation dedicated to supporting and connecting Australian anaesthetists. The Society primarily focuses on supporting, representing and educating its 3500 members to enable the provision of the safest anaesthesia to the community. The Australian Swimming Coaches and Teachers Association (ASCTA) is the peak body for swimming Coaches, Teachers and Swim Schools in Australia. ASCTA is dedicated to developing world leading practises in the education, accreditation, professional development and ongoing support for swimming coaches and swimming and water safety teachers. As well as this they are committed to developing and empowering their swim school network through the delivery of the world’s best practice guidelines, professional development programs, growth opportunities and business support. The Australian Window Association (AWA) is made up of over 600 window manufacturers and industry suppliers throughout Australia. Their mission is to provide services to their members that enhance their business opportunities and support their efforts to operate successfully while endorsing compliant, energy efficient, quality products. The AWA provides window and door specific industry training to members in order to lift the level of competency within the industry. 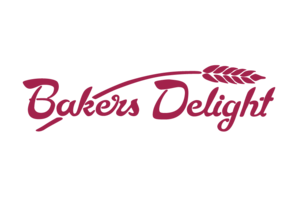 Bakers Delight is Australia's most successful bakery franchise with a network of over 700 bakeries. Every day, in every bakery, Bakers Delight bakers use real ingredients to bake unreal bread. Every grain is sourced from Aussie farms, processed by family-owned millers and lovingly crafted into bread by their bakers. 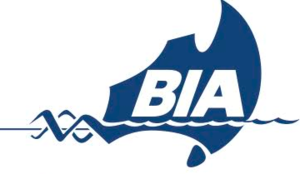 The Boating Industry Association (BIA) is the voice of the recreational and light commercial marine industry, promoting safe, recreational boating as a positive and rewarding lifestyle for Australians. The BIA provides a forum to discuss industry needs, problems and solutions and serves as the representative of the industry to Federal, State and Local Government departments and agencies, as well as other industry bodies, corporate interests, allied organisations, media and the general public. Their members get Australians onto the water, through the manufacture, wholesale or retail of products and services to the recreational boating consumer, and light commercial marine operators. Bowls NSW is the peak governing body for Lawn Bowls in NSW, with 520 affiliated Clubs and approximately 39,000 registered members they are also the largest State or Territory Association in Australia. They aim to provide everyone an opportunity to experience bowls in New South Wales and to develop a community that can participate, administer and enjoy the bowls experience. Christian Supply Chain Buying Group provides members of the Christian Venues Association with the negotiating power to lower their operating costs, allowing them to focus even more on providing quality conference and camping sites for ministry across Australia. CSC Buying Group membership now also includes members of; Schools, Churches, Christian Ministry, Bible Colleges, Care Facilities, Community Groups and Christian Businesses. CSC Buying Group is constantly negotiating with its 50+ suppliers to ensure prices remain low, as well as seeking out new suppliers to better service their members. ClubsNSW represents more than 1200 member clubs, and makes an important contribution to state and national policy direction, including the development for industry-specific legislation relating to alcohol, gambling, taxation, and industrial relations. The Association’s purpose is to lead a sustainable industry that makes a growing contribution to the NSW community, it seeks to strengthen conditions for those working within the industry, and to support the local communities they serve. Community Management Solutions aim to offer cost-effective, practical and down-to-earth advice on a wide range of issues faced by boards, committees of community services organisations, managers and owners on a day-to-day basis. Their mission is to connect members with ideas by providing networking opportunities, the latest news and events, as well as establishing links with academics and industry specialists. At Family Business Australia (FBA) their purpose is to help family businesses succeed. They do this by helping family businesses harness their unique competitive advantage. Leveraging ‘family business’ as an asset is what truly sets their members apart from the competition and FBA has been successfully helping family businesses along that path for the past 20 years. Fitness Australia is a not-for-profit industry association, that exists to professionalise the fitness industry through engaging in partnerships, advocacy, delivering education, quality and accreditation. Fitness Australia supports the industry to deliver an environment for more Australians to adopt a healthy, active lifestyle. Fitness Australia is the credible, recognised voice of the industry and is influential in driving improvement, innovation and reform. 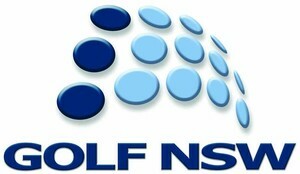 Golf New South Wales is the peak representative body for the sport in New South Wales. Their role is to encourage the participation, fellowship, fair play, and well-being of their member clubs and districts. Golf NSW offers guidance to affiliated golf clubs and District Associations on various legal, financial, industrial, political and administrative issues as required to ensure that the well being of the sport is maintained. Hardware & Building Traders (HBT) is a buying group created for independent timber, hardware, garden and building supplies retailers. They commenced operation in January 1997 with 13 member stores. Since then they have grown consistently and as of August 2016 their members operate over 610 retail stores located throughout all the States and Territories of Australia. All members are independently owned and operated businesses. 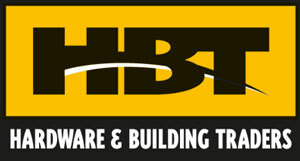 HBT has fostered a strong culture of support and co-operation between it’s members. With nearly 100 years of experience in delivering flowers, Interflora prides itself on being the largest and most renowned flower delivery network. Interflora services nearly 150 countries through 50,000 member florists with 750 of them in Australia. They are also the world’s longest serving flower delivery network with over 60 years of activity Australia. Orders that are placed within Australia are sent to their member florists to ensure that fresh flowers are expertly handcrafted locally and delivered with care. 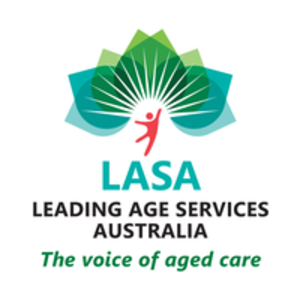 Leading Age Services Australia (LASA) is the national peak body representing and supporting providers of age services across residential care, home care and retirement living. They represent their members by advocating their views on issues of importance and support members by providing information, services, training and events that enhance their performance and sustainability. Optometry Australia is the influential voice for the optometry profession. It is a profession-centric membership body representing about 90 per cent of Australian optometrists. The goal of Optometry Australia and its affiliated state-based membership bodies is to actively strengthen, protect and promote the profession of optometry and eye-health. The Police Association of New South Wales (PANSW) represents the professional and industrial interests of approximately 16,500 members, covering all ranks of sworn police officers in NSW. PANSW ensures member wages, working conditions, and the occupational health and safety of police officers in New South Wales. Their vision statement is to represent and protect all Police, their families, the community and to be the leading advocate for the policing profession. The Police Association of South Australia (PASA) has a membership drawn exclusively from volunteers of sworn members at any rank and cadets of the South Australia Police. PASA lobbies government and opposition politicians on member’s behalf about a range of issues that affect them. PASA has been instrumental in convincing governments to recruit more police and amend legislation. Beyond negotiating for salary & conditions PASA provides members with life insurance under a group life scheme. The Post Office Agents Association Limited (POAAL) is the independent industry organisation that has a strong and long term commitment to look after the business interests of the owner/operators of Licensed Post Offices, Community Postal Agents (CPAs), Community Mail Agents (CMAs) and Australia Post Mail Contractors. Committee members come from all parts of each State, and work in a voluntary capacity, bringing experience, dedication and loyalty to their work of assisting their colleagues. Professional Hospitality know that running a successful and compliant business takes time, money, and a whole heap of effort from all those involved. From managing employee onboarding, procedures, training, health & safety, ongoing legislative changes, customer service and everything else that comes with running a business. Therefore Professional Hospitality are available to provide simple, cost effective and compliant solutions to help businesses run the best they can. The Queensland Dairyfarmers’ Organisation (QDO) is the peak advocacy organisation representing the interests of and providing services to dairy farmers across Queensland. The QDO provides leadership, representation and support to the dairy industry through a number of programs and initiatives, and at all levels of government. 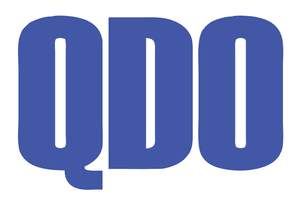 The QDO also manages and delivers a range of programs and projects on behalf of and for the industry, with a range of industry partners. The Queensland Hotels Association (QHA) is the peak industry body in Queensland for the hotel and hospitality industries, accommodation providers, resorts, theme parks, convention centers and casinos. The pressures on the industry and on businesses has remained constant, however the challenges have become even more complex with every passing year. The Association is the first point of call for the ever-changing demands on businesses. From energy costs to noise constraints; the Queensland Hotels Association does not miss the opportunity to represent their member’s best interests. Restaurant & Catering Australia (R&CA) is the peak industry body representing 45,000 cafes, restaurants and catering businesses across Australia. The members of R&CA are owners and operators of restaurants, cafes, coffee shops, catering companies, takeaway businesses, and function centers. Restaurant and catering businesses are an important part of the Australian economy- they are the largest employer in the tourism industry, employing more than 610,900 Australians. R&CA brings these operators together to provide a single, powerful voice to the government on issues affecting your business. Road Freight NSW is the peak industry organisation in NSW representing trucking operators. Its members range from some of the nation's largest transport companies with thousands of employees, through to small family businesses operating with less than 5 employees. Road Freight NSW delivers a range of services and benefits to members including but not limited to: lobbying of state and federal politicians on behalf of our members interests, engagement with RMS, NHVR, NTC and transport for NSW over policy interests, as well as an annual conference with speakers, awards, dinners and networking. The South Australian Dairyfarmers' Association Inc (SADA) is a not-for-profit organisation established in 1936 to represent the interests of South Australian dairy farmers. More than 60% of the State's dairy farmers are currently members, making it one of the most strongly supported farm lobby groups in Australia. Through SADA dairy farmers have a strong voice locally in South Australia as well as nationally with the Australian Dairy Farmers Ltd. SADA provides dairy farmers with a voice on issues as diverse as electricity pricing, animal health and natural resource management. Union Shopper is a 100% union-owned organisation that provides members and their families with great deals and benefits on a large range of products and services. They use the united bargaining power of their large membership numbers to secure the best possible savings for their members. They also don't take money off their members- any profits made by Union Shopper are used to improve their service even further. United Health Services is one of Australia's largest membership organisation for like minded practise owners who want to join a community that achieve better results together. The practice owner and size of their membership base allows them to negotiate preferential agreements with key industry wholesalers and suppliers that will help reduce everyday costs and practise management expenses. United Vets Group (UVG) is a system helping vets increase profits, reduce stress, and deliver an outstanding client service experience without increasing their overheads. With just six practices, UVG was born with the goal of the veterinary industry banding together to share ideas and buying power. There are now hundreds of practices who represent the UVG community and contribute to their buying power. The real value for members is not just in the thousands of dollars they save, but also in the ability to participate in a mastermind group with other like-minded practice owners. Voice of Cafes Victoria (VOCV) was incorporated out of the need in the market to unite small to medium sized businesses to create an entity with one voice, thus creating a powerful unit that can have the attention it deserves from suppliers, vendors of goods and services relating to their members. The vision they have is being a large strategic buying group offering their members the best deals on goods and services.